Do you work for Unity? "AR/VR/MR/Apps Whatever you need in software design Unity3D has it." Their engine is free and easy to install, and so anyone can have a fully featured game development engine installed on their Windows PC or Mac (Linux support is also on the way) with a minimum of fuss. Just Google “unity3d download”. During the install process you can choose specific build platforms. Many are unchecked by default so be sure to read the list and take what you want. Android and WebGL are probably ones worth ticking. Both game engines are extremely affordable, Unity gives you access to the free version of Unity, which is still a powerful engine. However, if you're a teacher Unreal Engine 4 may just come out on top in terms of pricing. You can implement Unity free if you want to try this software before you get it paid and do not worry because Unity Free allows you to publish on Android, iPhone and Windows Phone. Learn from official tutorial first. They are very helpful. "The software where everything meets"
There are many good things that unity has, the interface can be adapted to any working mode, the tools are quite simple to use, it allows you to develop animations without the need to know any programming language, you can import and export your own 3D models , create your own textures, materials, allows you to create a complete environment from 0, besides this allows you to play with the camera the lighting is simply wonderful, it is a really powerful game engine, it allows you to add sound to each object separately, create an interface , add your scripts and manipulate them without touching the code, and best of all, the basic version allows you to develop everything for free. Not everything is perfect, although the 2D camera is quite easy and comfortable to manage the environment, in 3D mode moving in the grid can be quite annoying and complex, I think it is something that still needs to improve. It does not matter if you are new to the development of games or animations, if you do not know much, unity is a software that helps you to create them in a simple way, the learning curve is not very long, there are many courses and tutorials, besides that the unity itself has a very extensive manual I recommend reading it, out of this the free version is for anyone and allows you to develop your free game license. So if you are looking for a software where you can make your first animation or game easily, unity is for you. But also if you are an advanced content creator it will be even more useful, because of the infinite number of features it offers. With unity I can create animations, and manage all my 3D creations easily, put them in an environment create videos, games, without the need to get into the code, there are many libraries and scripts available that can be used in unity which saves you a lot of time , besides that when building a project, I can do it for several platforms since unity is in charge of coding and adapting the project automatically. "Software that makes your dreams come true in 3D!" The best thing about Unity is that it is a software that can be implemented by both beginners and video game development professionals, Unity is very versatile and easy to use, it offers great editor tools, efficient and optimized AI, camera scripts, animations, among others and we should not worry about making our game adapt to the platforms since it is available for Android, iOS, PC (including Mac and Linux), Xbox, PS, PS Vita, Wii U, and many more , all this makes Unity a very complete software compared to others. Unity has somewhat expensive lyncences but the prices are worth it since they offer graphic improvements and high performance. With Unity I can create what is needed with high performance and high quality graphics, it is also ideal for small and large projects that is really easy to work with and the best working group because Unity is ideal for those companies that do not They have many resources to hire other people to develop games. "The development engine that changed the history of 3D video games." The best thing about Unity is that it offers a very friendly environment for all professionals, whether programmers, designers or artists. It also offers excellent tools for the development of 3D games on any platform such as Microsoft Windows, OS X and Linux, it can also be used together with Cheetah3D, Adobe Photoshop among others and everything at really accessible prices is the reason why Unity is a tool Valid for beginners and for users who do not have many resources, as well as for large companies. From my point of view this is a great software so I have nothing to say against it is really very complete. Unity can be used by any user, be it beginner or professional or for small or large companies, since it fits your pocket practically. Unity has given me a lot of ease to my work since I only have to create the games only once and from there it will be available for any platform which is a great advantage since it saves me a lot of time, besides it is very easy to edit games without the need of implement codes. "Unity is the best general-use game engine"
I like that Unity allows the user to write scripts in C#, but most of all that there are so many resources and such a great community around it. The documentation is exceptional and the Unity forums and stack overflow website have answers to almost any question on Unity development. This tool can also be used for simulation as well as for game development, expanding it's use cases to across a variety of fields. Unity is also very good for 2D video game development. I often use Unity when developing 2D games on my laptop as Unity provides a robust 2D game development framework that performs efficiently on laptop devices. The documentation is also easy to get to, with relevant links inline with components in the editor. I dislike the package management differences between versions of unity, but with the release of Unity Hub, and its fast update schedule, this problem is being minimized for future versions. Definitely go on the Unity website and do some of the tutorials. It has great resources for those getting started. Even if you're not a programmer and just want to get started with game development, Unity tutorials allow people with a wide range of skill sets to get started and make something. Beyond their website, there are plenty of tutorials on YouTube and other websites that would be really useful for a beginning user of the software. I developed a non-commercial driver training game in Unity for research and development purposes. "Best tool for game development"
It is an easy, versatile tool. Anyone with basic knowledge in programming can learn to use it in barely 1 month. The learning curve is appropiate and the possibilities are infinite. The comunity is insanely wide: you will always find someone in the official forums, or internet blogs, where you will be able to find any answer you need. The retrocompatibility with its own version also helps. Very practical for group working using git. Wide roaster of integrated tools that eases the works, for example: terrain generation, particle emiters, etc. Very good for companies that are beggining to work in the videogames. Better than other engines, which provide less comunity and less tools. The actualizations can be quite tedious due to the limited download speed from their servers. Monovdevelop, the IDE provided for programming the scripts is quite bad. You need Unity pro for a dark theme. That is no problem for a company, but for indie studios can be. Learn the bases first before trying to do anything. It is a great tool for people that starts with videogames, and also good for experienced people and small/medium companies. "The biggest and the greatest"
Lots of tutorials around for beginners, what makes it easier to start. Unity Free allows you to publish games for Android and IOS wihout any limit. You can develop games and projects for lots of different platforms. The graphics are not as good as other engines like UDK, which is way better. Limited functionalities comparing to UDK and CryEngine. I think you have to start with Unity to see if you are able to develop or not. You have to test your own skills and Unity offers lots of facilities and tutorials around it. Unity community is massive, so it may be easier to start with it than with othher engines. You can work for free, but Unity Plus and Unity Pro are expensive. Basically I found it easy to start, and it allows you to have a good idea of how games are developed. For small projects is perfect. "Potente motor de videojuegos tanto para uso profesional como educativo"
Por mi uso, educativo, es una gran herramienta que permite aprender a los adolescentes las bases de programación con un entorno de trabajo real en un ámbito que es muy motivador para ellos como es el de los videojuegos. Al tener uso educativo gratuito está al alcance de cualquiera que quiera aprender. Por otro lado, al utilizar lenguajes como C# es una buena introducción a la programación del "mundo real", a diferencia de la mayoría de los que se usan con fines educativos. Cuenta además con una inmensa comunidad de desarrolladores en la que puedes solucionar prácticamente cualquier duda. Que requiere 64 bits. En muchos centros educativos, con equipos antiguos, se han quedado en versiones de 32. Enseñanza de programación en Secundaria y Bachillerato desde un enfoque lúdico que resulte atractivo, a diferencia de las enseñanzas curriculares que se suelen impartir. Permite además incentivar vocaciones entre los adolescentes, ya que es una herramienta real que se ha utilizado para desarrollar videojuegos que ellos conocen. "Using Unity3D is the only way to create games, augmented reality, virtual reality, or 3D application"
The versatility that the Unity game engine provides is second to none. It is simple enough to learn 2D or 3D environments on and scalable enough to provide advanced development. The Unity engine has a lot of developers in the forums that can give you insight into almost any situation and provide help. The staff at Unity has also stepped up their contact and seem to always be trying to find a way that they can help you. The only thing that really comes to mind when I try to think of a dislike is, the vastness of what is available and the different levels of expertise makes finding information on a specific subject quite intimidating. Unity is the standard for game engines and 3D development. Augmented Reality applications, Virtual Reality applications, 3D and 2D gaming. I like how complex the software is. It is very powerful, and can do a lot. It's a great piece of development software. It is difficult to learn, but there are a lot of tools out there that are very beneficial. It also have a lot of the same shortcut keys as other 3D programs, so navigating the software is straightforward if you have used 3D modeling programs. The projects you can make with the Personal version look terrible. You don't have access to all the features, which I understand. However, when you are learning the software it becomes frustrating, because you try to do something (making terrain for instance) and you can never get it to look really realistic. I wish there were more tools available in the free version to generate more realistic worlds. Definitely try the software before you commit to spending money on it. It is really powerful, but there is a very very steep learning curve. If you don't have coding experience, or at the very minimum experience in a 3D environment you may find that learning the program is quite challenging. I am learning Unity to potentially branch out into software and game development. After I take the time to learn the software I think it will be a great asset in helping me create apps. I would like to add app development to the list of services I can provide to clients, and I think that Unity may allow me to do that. Unity is a really simple and versatile engine. You can make any kind of game/simulation/visualization with it. You can make a simple 8-bit platformer or a AAA graphics RPG. Unity lets you do everything without much work. The Components system is just a great game engine entity model. There are methods raised in each MonoBehaviour for many many different kinds of events, which can be used for a variety of different tasks. Unlike other systems, Unity's Component system allows you to attach as many MonoBehaviours as you want to a GameObject (game engine entity) which is really great for code modularity and cleanliness. Unity also has a great great great Asset Store, one of the best things about Unity. You can find beautiful art, well made editor tools and efficient and optimized AI, camera scripts, animations, everything. You can almost create a whole game only using products bought on the Asset Store. It is also a great source of income for people who have some awesome code or art that they want to share. The Asset Store publisher experience is clean and makes it easy to submit packages which go through a stringent approval process. The highly extensible editor makes it easy to create a small script that will, say, create 1000 clones of the selected objects with the click of a button even without playing the game. And then there's the number of platforms Unity supports. You are able to publish to more than 10 platforms provided that you have the SDKs to do that. Android, iOS, PCs (including Mac and Linux), Xbox, PS, PS Vita, Wii U, Native VR support and the list goes on. Although the Personal (Free) edition has support for all game engine features and is completely free to publish games with, there are some limitations like no custom splash screen (that's the only hindrance to some people). Unity 5 has a beautiful splash screen though, and if you can live with it, then you don't need to look further. Unity is altogether a great product, and if you're looking to develop a game on many platforms Unity is definitely the one to use. If you intend to develop a Crysis 3 like super graphics game only on PC and/or Console, then you might be better off with Unreal Engine or CRYEngine (or the new Amazon Lumberyard). But Unity still can deliver quite stunning graphics. Just check the link below out and check the features. If you do decide to go with Unity, you won't be disappointing, unless you come from another game engine, in which case the fanboyism may kick in (happens to me too). Working on all kinds of things: A 2D platformer, a terrain painting tool, vehicle AI is a dream with Unity. The Asset Store really cuts down on man hours for not a lot of money. You can get a tool that will generate and texture beautiful terrains for 45$ on the Asset Store. (Sorry, designers). Modularity with the component system really helps in maintaining the code base. I can have different scripts for moving and setting the target Transform, Obstacle Avoidance (OA) and the actual vehicle controller for my AI system and put them all on the same car. I don't even need to make the user of my AI system do anything. I can just ask them to click a button in the highly extensible editor and everything including positioning the OA detectors and setting the required variables through code. I like that unity has many cool features. I can make a very cool game. I really like the fog effect and halo effect. Unity store has many items that could be used. Also, the unity website helps me to write the code. Unity store does not have many free items. Also, the collaboration part of unity needs more improvement. In order to work on the same project, we all need to have the same version of unity. However, some laptop might not support certain version. Overall, unity is a good product. I recommended it a lot. Just want to remind anyone that want to use Unity to work a group project. You need to make sure everyone in the group is using the same version of unity. And always back up your project because you never know what will happen. Before downloading from the drive, save everything you did in a prefab so that you will not lose it. Unity allows me to work on a VR project as a team. We can each work on it and upload it once we are done. Then we can download it from the cloud and update it. This is very convenient for a group project. "Best Game Engine for indie solo developers and small teams"
Unity is the most flexible game engine, with a great fit and workflow for solo developers and small teams. It is extremely user friendly in comparison to other game engines and is getting better and with more advanced features everyday. The Asset Store is a huge timesaving for your projects and helps newcomers a lot. If you like to be a game developer, I think Unity is the place to start. Besides all that, the documentation, tutorials and community are great. As any other game engines, Unity has a hard learning curve and you have to be prepared for that. The graphics processors are not so polished as in Unreal Engine but are getting better in the latest releases. The internet dashboards for your team and projects needs interface improvements. If your dream is to work as a game developer and you don't have previous experience, I think Unity is the best place for you to start learning and making your own projects. Unity is the game engine that I use to make my games without great investment. I use it to prototype and make storyboards of audiovisual projects too. And lastly, we are starting to use it to make scenarios of real live events for ideation purposes. "Convenient, easy to use program." User friendly interface, easy to learn to work with. I also like that new features are being added in newer versions of Unity e.g. more collider shapes, more particles editing options etc. Since updating to Unity 5.5 version I'm experiencing a lot of visual glitches like random red lines, some spaces suddenly becoming black etc. My coworkers experience similar problems as well. No such problems occured in 5.4 version. It also has some little annoyances e.g. I dislike the way you have to delete polygon collider vertices in 5.5 version, 5.4 version had more convenient way, or sometimes drops you out of the folder you are in. Unity is easy to learn to work with and has a lot of features for easy game development. I would recommend this program for people, who don't have a lot of experience, because of its interface and also because you can find a lot of information about this program and its features in online forums. Product development. Simple user friendly interface, easy to use, suitable for creating both, 2D and 3D games. "It has given me a career, and a way to follow my passion in game development." Unity is easy to use. It is one of the largest initially free engines that has steady development. I have tried other engines. It's main competitor, the Unreal engine, just couldn't compare. Unity has what feels like ten times as much documentation by Youtubers and articles online. Unity ports to almost any mainstream platform. Android, iOS, windows, etc.... It's one of the best options for phones specifically. It is very lightweight at its base and compiles well. They update Unity regularly. and address a lot of community concerns. Some legacy features, such as the UI, have some strange quirks. The UI is displayed in the scene view itself, overshadowing your 3D environment. Instead of having its own UI view tab. Base assets, such as lighting, can be a bit hard to understand and install. Unity gives a lot of free assets, but they're usually combined with other asset packs, that you have to pick apart. Baking lighting is difficult, and I've run into a lot of bugs. Built in animation tools have some odd things. Such as not being able to zoom in and out to see your animator connections. If you're interested getting into software development, or specifically game development, this is the best software for the job. The speed of use is the appeal. Building a lot of the 3D environments and porting to devices. I can demo ideas and concepts faster than any other coding program that I've used. For things such as 3D models or sprites, it's as simple as drag and drop to get them into the environment. "Great Game Engine That Runs on EVERYTHING"
I initially switched to Unity3D from writing my own engines from scratch to save effort porting to iOS from Android. Since then, they've included basically all video game platforms, virtual reality devices, augmented reality, mobile platforms, etc. It also is a very powerful flexible engine with an interface that you can add your own features to as well. We use a lot of custom coded features internally. The only thing I've came across that I dislike with Unity3D so far is the UNET code. It's not so much the function of the UNET network features, it's how poorly documented it is. We had a bug that we took a while to solve and it took quite a bit of digging through forums to find out it's been depreciated. And we had to guess how the new function worked. The time we saved from porting, programing our own features, and using a very tested engine has helped us skip the boring part of development and get right into game making. "Unity - Best option for 2D and mobile games"
User interface, well documented, cross-platforming, community support with active forums, learning curve, programming flexibility, excellent asset store, engine is convenient for development of virtual reality on mobile devices, good toolset for 2D games, tailored for indie developers, visual editin tools, you can extend editor with plugins, free to a certain point, quaternions. Subscription model, outdated Mono runtime, animation graph system. occasional crashes, engine source code is not available to any user so you cannot resolve any bugs that were caused by engine(only exception is if you pay great amounts of money), version control, . I think Unity is an excellent pick of choice for everyone considering mobile games, 2d and 2.5d games, it has outstanding community, and one of the best asset stores there are on the market. Also it is free unless you reach certain revenue, then you need to upgrade your license. Unity is the leading game industry software, at the top of the growing VR market, one of the best asset store there is. If you are an indie developer and plan to build 2D games, or games for mobile phones that is an ideal choice you can make. "Very good Game engine to develop 2D and 3D Game"
They have have very intuitive and easy layout to Use. integration of the C# language is very good and they have the user friendly UI. They should have to implement multiplayer as soon as possible. Use of shader graph will be appreciate. Also frequency of tutorial should be increased. Unity is a great product, and this helps a lot in game development. it does helped me a lot, even i got my first job on basis of my unity experience. My company is working in the field of study using the Unity Game engine, they are doing great using Unity they are using unity from some time. "Have been using unity for around 6 month - here's my review of it." - last but not least, it's free *I'm currently using the free version of unity. - The documentation isn't easy to read (and implement) for a noob C# coder like me :p, I highly suggest to give a small sample or something easy that can be implemented in each section of the documentation. - doing something like cross-platform IAP thing, networking, are pretty difficult. Go ahead to use it! It's cheap (literally, free) engine (for personal license) and Pretty easy to use. There's also lots of documentation and tutorial available. and the community is pretty huge too. Unity is changing the world. 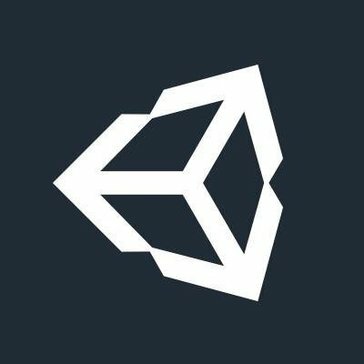 Unity is a free to develop with game-building engine. It has so many features built into it it can get a little overwhelming. however, there are numerous resources to learn from that can get up to speed in no time.One great feature is you can deploy your projects to almost every platform available with the ease of a selection. Assets can be purchased and there are many free assets available also. You can import your own created assets as well. You can make 2d games, 3d games and VR games with Unity. The Unity community is vast, inviting and friendly. Unity first came out in 2005 from Apple. It runs very smooth on most machines and multiple operating systems. Very Complicated at first. takes a good amount of learning to get going. Lots of learning opportunities are out there. Take advantage. 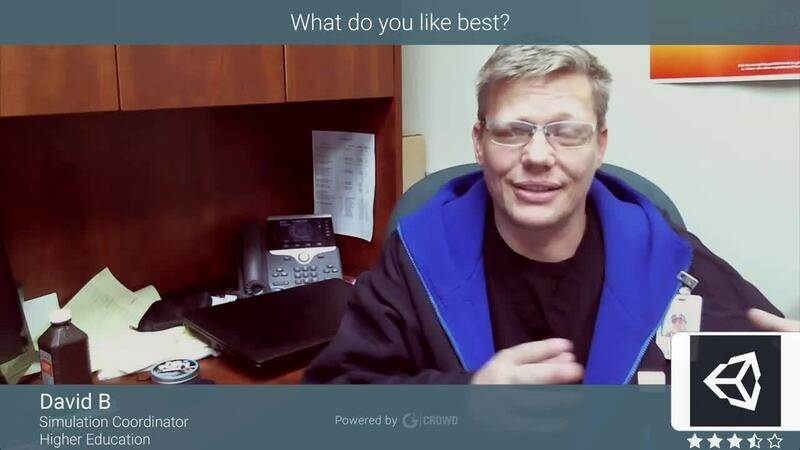 Easily creating interactive experiences on multiple platforms. "The ever improving, most open and most versatile game engine ever." Unity3D is always improving and this is has become even more clear in the last year or two. The engine is updated quite often with many great new additions and bug fixes. Not only the Engine it self is getting many upgrades though, the various services Unity Technologies provides have also been increasing their quality in the recent months. With advertisements, multiplayer, a new collaboration tool, remotely adjustable settings and a vast analytics platform it is certainly visible Unity is still expanding. Unity also supports all of the most popular platforms out there, ranging from PC/Mac to Android/IOS and from Playstation/XBox to AR/VR. So what ever audience you're trying to reach, with Unity it is certainly possible! From time to time you have a chance to experience a bug in the engine itself. On certain projects this can become quite an issue, certainly because of the bug happens once it's likely to happen more often during the development of your project. Often these are bugs you can not fix, like bugs in the UI system which will flood the editor with errors. Though it must be noted that if such bugs don't occur during development, the experience is wonderful. Start out by watching their tutorial video's on their website. They have tutorials on the basics of programming all the way to the intermediate level. Besides general programming and engine tutorials they also have various different tutorial series in which they create an entire game project from the beginning. Unity3D can be the go-to engine for all your game development. With the big amount of platforms it allows you to export to you can cover nearly every inch of the market. Not only is Unity great for making games, it can also be used to create simulations, AR and VR content, and more. "Unity an Engine for Beginners and Pros"
A full featured and mature game engine that becomes more powerful with each release. Great API for easy customization such as adding new functionality, automation and extending the engine. The documentation can be out of date and structurally certain sections are inconsistent compared to the newer documentation. No quality control in the asset store. Unity is a great place to start but to fully appreciate what Unity makes easy for developers it is useful to have experience with more basic libraries like SDL or SMFL. Having experience outside of Unity is very useful in order to hit the ground running. Solving the difficulties of indie game development with a robust engine that stays neutral and does not make assumptions about the type of content I want to create. In contrast the Unreal Engine is skewed towards First Person Shooter development and therefore the developer has to fight against the engine to make content that does not fit that mold. Unity is great for making a variety of content and will generally stay out of the developer's way. "Unity is fantastic for all sorts of software!" I've used Unity extensively for app development and prototyping. They keep the software up to date and allow you to build to all major platforms and more! It is an industry standard, so it's easy to hire people who use it. It's a bit of a hassle keeping projects up to date with the latest releases. Unity is great for both beginners and experienced users. Many budding developers have started making games through Unity, and it is even used by developer behemoths like Blizzard. My business does software development and has a need for quick prototyping Unity fills that need. "Best Engine to get into Game development today, saved my Career"
+ Very versatile, multi platform export is a huge advantage. + Asset store provides enough resources for a solo or small team to get started into game development. + Lot of freedom to create the type of game you like, its not constrained to FPS or RTS style game engine. - Graphic engine is still not quite there yet. - Graphic also break often because of multi-platform dependencies. - The asset store needs a cleanup, too much garbage which is retroactive and very little quality control. - Bug fixes and QA on the engine itself is rather slow. It has the majority market share but they don't employ more people. If you like C# use Unity, if you like C++ choose Unreal. Unreal and Crysis still exceed in Graphics but Unity will excel in coding/development. Making simulations, teaching aids, educational resources using the game engine from an Educational standpoint. NAIT is a trades specific polytechnic and it has major stake in training for physical jobs, for which Unity is a great platform to make anything physical into virtual and easily deploy-able. I also write on Quora and recommend people who want to get into game development to start from Unity and go upwards. "One of the Best Engine"
It has a very large support base, as well as a lot of detailed books and descriptions. The ability to create an application for all modern platforms. A very large community. A huge number of ready assets and a large add-ons store. There was no programming language support with which I was used to working. I had to spend a lot of time studying Mono. Easy to learn, but very powerful tool for creating games. The ability to create an application for all modern platforms. If you can not afford to write your own engines or just do not want to do it, there is already a ready product. Now Unity can easily compete with the best game engines Try and see for yourself. I use Unity to create a game with Leap Motion controller support. It was very easy to start using this program. Already there were ready working examples, functions for interaction with the controller. It remained only to screw it all into my game. "Unity is a good engine easy to use for beginners"
I like the amount of support you can get from the community and how easy it was to catch on and commit to learning the engine. Perfect for beginners and with a little coding know how can be used at a professional level. I liked really everything about the engine. At first it was a little overwhelming about what to learn first but by doing the basic tutorials I was on my feet and understood the structure of it all. Organization is key and being persistent in your coding. Unity is good for getting prepared to enter the gaming industry. Highly recommend to anyone that wants to see what its like to make a game. It allows me to make the products in my head and provide entertainment value to customers and be bale to learn this product without paying a dime is awesome. Making a game takes time and commitment. Unity 3D is by far the best general game engine on the market. It excels at rendering, performance scales, Mechanim animation system. The Unity community is hugely active and wonderful. The licencing model of Unity is also good. Although C# is a great addiction and a good choice for game programming, Unityscript is a very bad alternative. The lack of a real material editor is also a pain point for any developer. Unreal engine is better alternative when it comes to high quality games. The best game and physics engine if you're looking to create mobile games or games that are not very graphically intense. "Powerful framework without the hassle"
Easy to use interface and powerful tools, I especially like the Mechanim Animation tools which make it very easy to create a modify animations, they've improved the 2D implementation in mechanim significantly which I especially like as my current project is 2D. Current 2D support needs improvement in how sprites are handled, tile mapping is still something that doesn't have full support without buying plug ins, but its improved since their 2016 build. If ease of use and powerful tools are what you're looking for I recommend Unity 3D, however if you're looking for 100% 2D support I'd suggest GameMaker over Unity as its more tailored for 3D. However, they've been improving 2D support and scripting so its getting to where it needs to be. For me as a small independent developer, Unity's accessibility and powerful tools makes it a very valuable tool among other frameworks like the new Lumberyard, Unreal and GameMaker for a vast array of different experiences. Each have their strengths and weaknesses, Unity is strong for 3D and its 2D capabilities are following closely which allows me to use Unity for both 3D and 2D projects. It meets my needs nicely. "Like a relative, I love it and I hate it." I am new to game development and I'm mainly using it to develop an app for the Microsoft HoloLens. Unity is not only easy to use, but it is also the first to hop on board with any new technology like HoloLens by creating a special version specifically for HoloLens development. The people behind unity constantly keep it up to date, and because it allows add-ons, the many features can be vastly improved by third party developers like simplygon. It also has a free version and you can get almost full access to the software by getting the beta softwares. There are quite a few issues that I can see, but they are the same issues that every other software has. 1) Troubleshooting- The error messages which, in Unity's defense, are from the coding language engine are often difficult to understand when programming functions or adding functions to the game objects. What I would recommend for the developers is to create a deep learning algorithm that produces a database based on what the issue is and what the solution is. Users can accept terms where every error is sent to this database and, if the error is seen before or if a similar error has been seen, a display will pop up showing the user what he did wrong and how to fix it. 2) User Interface- the user interface is already great, but it can be better. I can still get a little bit of an adobe vibe from the software, meaning you still are trying to put too many buttons and options on the screen at once. Abstraction is Something that needs to be improved upon, as well as the aesthetics of the program. You can create different toolbars and windows that only appear when they are needed or only when they are clicked on. Autodesk 360 has some good ideas for you to reference. Speaking of Autodesk, some of the names of your features are not very self-explanatory, I suggest simpler names and animated tutorials that show what the function does when you hover over the icon, just like in inventor. You could also add an intuitive search bar that finds results both in features currently implemented in the software as well as third party features on the store. A few other things like hiding the windows on the side until you hover over them can create more space for the in game window. These are just ideas, I'll leave it up to the unity developers to determine what is best. Use it, but keep in mind other softwares are necessary. There is no all-in-one software for game development. You need to model in one app, render or animate in another, create programs for those models in yet another, and compile everything into one world in unity. With this software, I am developing a Microsoft HoloLens app for my company to demonstrate our product to the public. This software makes it easy to combine different programs of different languages with 3D models and animations to create interactable experiences. "The best software for games"
First, it has an easy integration with different 3D softwares. In addition, assets that complement these models or objects from other software are incredible. Second, it has a high level of compatibility with consoles, operating systems and devices that currently dominate the market. Third, particles and native Unity's dynamic objects are wonderful, easy to use and implement, as many of the dynamic elements that can not be exported from 3D programs. Fourth. On the Internet there is a lot of templates, programming resources, assets and tutorials that will facilitate your projects. Fifth, it has broadened my portfolio of services that I can offer to my customers since many request this kind of games, not only at consoles, it also create small games or applications that help them meet different marketing objectives. The interface looks complicate. The continuos versions and that you have to download and the unity plugin to play it online. It would be a great idea to make a joint venture with the cellphone models to have unity by default. If you are in the market for graphic design, advertising, communication, 3D production, systems engineering, graphic design, etc., should at least know about this software, because now, everything indicates that this type of software will migrate the requirements of the Business. Internet games, mobile games, mobile apps, augmented reality and apps interfaces. It is the best software to make or accomplish several things. It is another photoshop that you can use for anything. If you want to be competitive in the present and future, you have to learn this software. "I use Unity professionally for mobile game dev and personally for PC game dev." Unity is easy to use and powerful enough to get small game projects released on major platforms. It is perfect for indie developers who want a cheap piece of software to get them started and it is awesome for students because it teaches the basics of game design with a simpler language (C#) than other game engines. The IDE for the mac version is slow and annoying. Unity has some major quirks and lately the features being released have helped desktop development over mobile. Hopefully they will be switching to Visual Studio over MonoDevelop when VisualStudio is released for mac. If you are considering using Unity for a new game make sure Unity fits your needs first. Sometimes it is good to write your own small engine or use another engine that has better features. If all you are going to do is reinvent the wheel or if your game is relatively small in size (aka NOT an RTS or MMO RPG although unity could still make these albeit with difficulty) then I would suggest Unity. If you are releasing to multiple platforms then I would also suggest Unity as it can seriously reduce the work required to maintain different versions of your software. All in all do your research and make sure Unity has the features you need before using. I am primarily working in unity for mobile development and it has been an up and down experience. While Unity provides a lot of powerful features that help to release games on multiple platforms. I would consider Unity a jack of all trades engine. It doe not do any one thing excellently, but it does everything averagely, which is more than some engines can say. "Robust and Accessible Game Engine"
No matter your skill level you can begin using Unity and very quickly prototype a game idea. The toolset takes the hard stuff, physics, rendering, and UI and simplifies it. Understand the how the major systems in Unity function. You want to do things the Unity-way as much as you can. How you organize your prefabs is vital. Quickly prototyping new ideas as a game designer is a primary reason I use Unity. The second being the freedom of platforms you can build. "Easy enough for indie devs, powerful enough for professionals"
The vast amount of assets available to purchase on top of the veritable library of books on learning Unity makes it the ideal platform to get started in game development with. There are assets, tool kits and even completed games you can purchase, pricing ranging from free to in the hundreds of dollars. If a company like Nintendo can use Unity (for their new iOS Super Mario Run game) then what do you have to lose? Give the free version a shot. Unfortunately, like any software that is powerful enough for commercial game development, there is also a steep learning curve. Getting a handle on things, even starting to get familiar with the interface can seem daunting, and can be a struggle at times. Take your time when learning Unity, there are a lot of aspects of the software that aren't immediately apparent. Follow some tutorials, read a book, take an online course and don't be afraid to experiment. Once you realize the potential that Unity offers, especially when keeping cross platform development in mind, using Unity is a 'no brainer'. "Makes 3D Game Dev easy! " Unity has so many templates and forums to help get a game up and running so quickly. More recently I chose to use Unity over competitor programs because of how easy it was to get it connected with the Xbox Kinect sensor. The 3D aspect does make files heavy and if you aren't running on the right hardware it can become laggy. The community is very helpful and its so easy to find some support when using this program. Quick and detailed games are more achievable when programs like this exist! "Everything for High Quality Games." The intuitive interface, a great community, a lot of learning tools, The workflow, The requirements, is not about the power needed by Unity, is about the power needed by your game. Continuous updates and fixes. Asset store. Great visuals. Code in C# and JS, Multi-platform support (Android, IOS, PC, Mac, Xbox 360/0ne, PS3/PS4, WiiU, Nintendo 3DS, PSvita, smartTV and more) It's an incredible tool, and the best you can obtain it for free in the personal edition. Some unexpected bugs. They depend a lot from the Asset store developers, they should add new tools in the standart engine package. Don't be lazy, do a search in google before asking. You need other tools to modeling and texturing, you can Animate in Unity but is better do that in another software like Maya. Watch the official Unity tutorials. You need other tools to create and record music/audio. Is good if you know about Graphic design and photography. It's better C# because you can create plugins and other stuff with it. If you know JS is really similar to C#, just do it, learn C#. Unity is free to get started with, is multi-platform, the community is great, the asset store, I love coding in C#, the online tutorials are very helpful,the live lectures are amazing and in general it is easy to learn if you have programming knowledge. If you have no programming knowledge unity can be a struggle to learn because there is no Visual Scripting like UE4. I am a Game Developer and Unity is an great multi purpose game engine that for game developer, interactives, simulations, and any it is multi platform. So you can basically create one game and then port to many different platforms. "Flexible game engine that's good for beginners"
Unity is a very flexible game engines capable of creating games nearly every genre from First Person Shooters, RTSes, JRPGs, WRPGs, puzzle games, i.e. nearly anything you can come up with. Can also use a variety of scripting engines ranging from LUA to C#. Also doesn't need powerful hardware to be effective. Not as powerful as other engines such as Unreal or CyrEngine. You won't be creating top of the line AAA engines using Unity nor will you be using high poly 3D assets. Also does not run well on consoles like PS4, Xbox One, and Switch but runs well on PC, iOS, and Android. Powerful, flexible, and free engine good for indie developers and those just getting their feet wet in game development. Highly recommended. Unity is a fantastic engine for those just getting their start into game development. In addition to being relatively powerful and flexible, the engine itself is also free although you may need to purchase assets from the store. "Great tool for making any kind of games." There are many things I like about Unity, It handles the viewports similar to 3D applications like Maya, so you don't notice a change or interruption while you are modeling and sending the models between the applications for testing or integration. It also has native compatibility with FBX files so you can export from mayor applications and get consistent results. Another thing I like the most about Unity is the huge amount of assets in the asset store that helps in development of games much faster and some of them let you create games without the need to write your own code, making it quite ideal for creative people and artists that lack the knowledge in scripting or coding but still want to create games. It has the ability to export to most consoles, computers, tablets and mobiles (consoles, apple products and mobiles exports are paid features), and the best part is you can use it for free without limitations. If you are an artist and lack of coding/scripting knowledge it could be a bit difficult or challenging to make something interactive without buying an asset to help you since you would be forced to create or write scripts for each objects or interaction, and some times you need to use assets to work properly or make life easier, so even though you intend to use Unity for free you will need to pay for assets if you want to make something playable with it. I also dislike that the assets are not fully integrated into Unity and will fill your game's database with useless data, demos, samples models and stuff not related to your game, besides this if you update the asset in the middle of development it can damage what you have made. Unity is a fantastic tool for making games and is not only intended for simple indie developers, it has features that rival does of higher priced engines for free or a fraction of the price. Even Blizzard uses it for one of it's games (HeartStone) and also Bethesda (Fallout Shelter). If that wasn't enough, you have access to an asset store that helps you create many types of games with ease. I have been using it to create adventure games and it has been possible thanks to assets like Adventure Creator that help quite a lot in the interactive side.